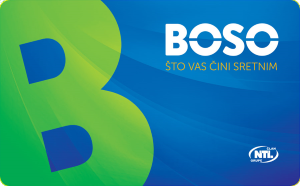 Best shopping with BOSO SHOPPING CARDS! 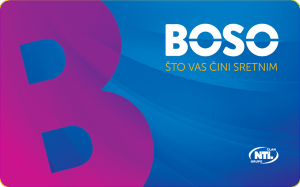 Use your BOSO shopping card and buy with 5% discount. If you are retired, with pensioner BOSO shopping card we are giving you permanent 5% discount. 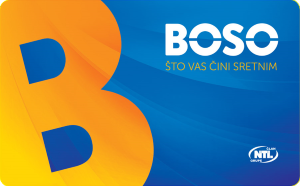 Families with 3 or more children can get their family BOSO shopping card with permanent 10% discount. Discount can not be achieved by purchasing items that are on sale, vouchers for mobile phones, cigarettes, newspapers and specially marked items.